to search for your electorate, see who is running, locate your nearest polling booth and find out the fastest way to get there. You can even go back and see how the nation voted in the 2013 election. Soon, thanks to Democracy Sausage and Snagvotes, you’ll even be able to find out which polling booths are also offering sausage sizzles and cake stalls - after all, what would an Aussie election day be without a barbie? On election day, July 2, the map will change to show the live polling results as they come in across every electorate. With one quick search, you’ll be able to zoom into any of Australia’s 150 electorates to show the percentage of votes counted and how each party is faring. And as soon as the counting starts, color-coded electorate outlines based on who holds the majority at that particular time will make it even easier to monitor the results across the country in real-time. Organising information so that it’s useful and accessible is especially important around elections, to help citizens get ready and feel empowered to vote. But it’s not just logistics and results that matter. 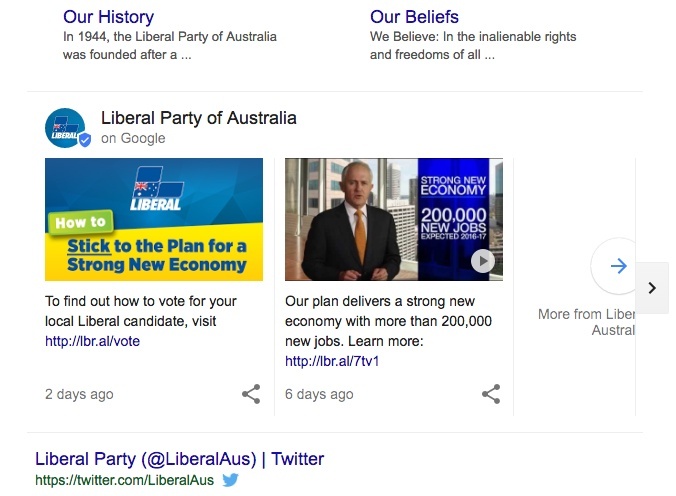 To help inform voters about the candidates’ platforms ahead of election day, a few weeks back we launched an experimental feature in Google Search that offers fresh content directly from the political parties in your search results. 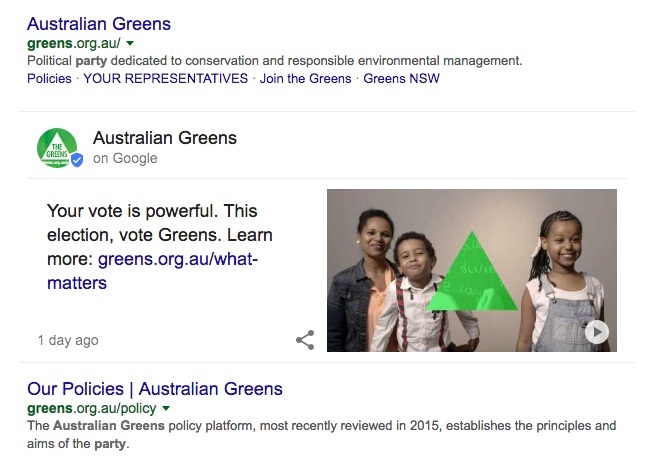 So when you search for a party with at least 10 members in the House of Representatives, you may see posts or videos from them, in addition to the news articles, tweets and links you’re already used to seeing in Google Search. 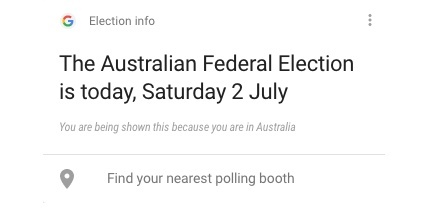 People with Google Search app installed and Google Now activated will receive alerts on the day before the election and again polling day to remind them to vote and to find their nearest voting stations. With these tools, we hope we’re making it a little bit easier for Aussies all over the nation to prepare for one of the most important days of this year — and look forward to seeing many more of you at the local sausage sizzle. 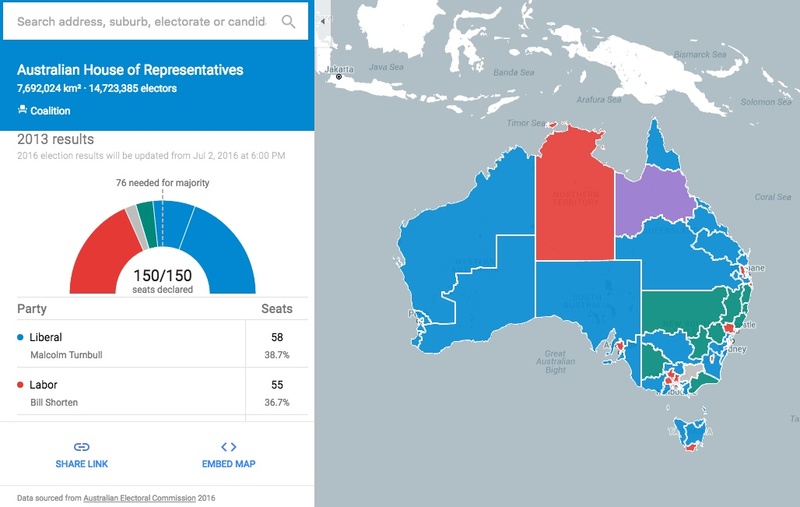 Election day is just around the corner and to help you get ready for the big day we’ve made an interactive map that gives Australians access to some of the most important information needed to make voting quick, easy and even appetising! 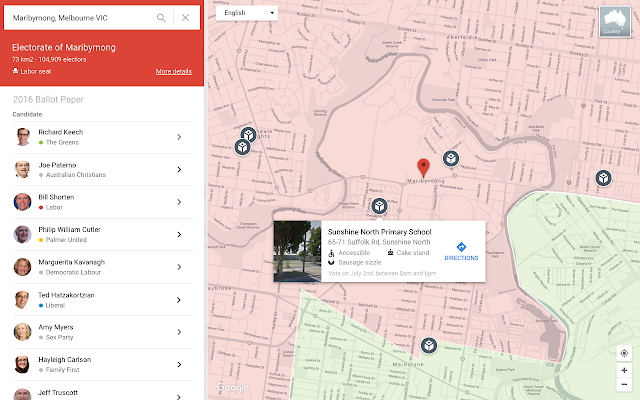 Starting today, you can visit g.co/ausvotes to search for your electorate, see who is running, locate your nearest polling booth and find out the fastest way to get there. You can even go back and see how the nation voted in the 2013 election.